The unit on the left utilizes a 4 HP gasoline motor (Model 5420H). It is also available without the wheels and handle (specify Model 5404H). 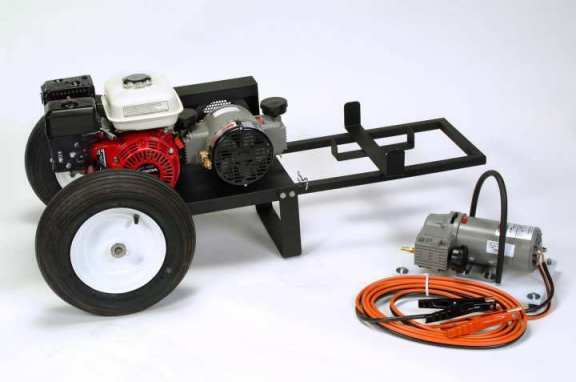 The unit on the right (Model 5403) runs off of a 12 volt vehicle battery and is supplied with 16’ long jumper cables.